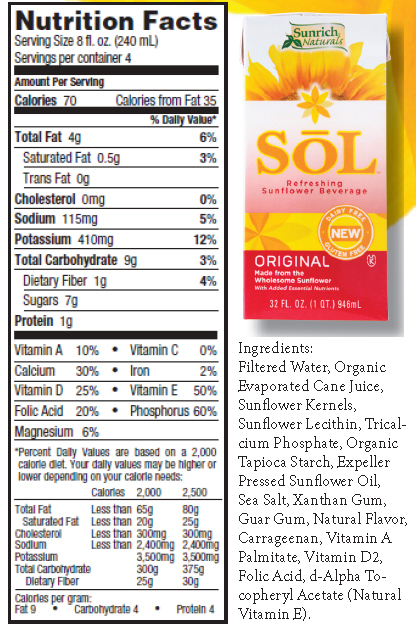 Amazing and Atopic: New Non-Dairy Milk on the Block: Sōl Sunflower Beverage! 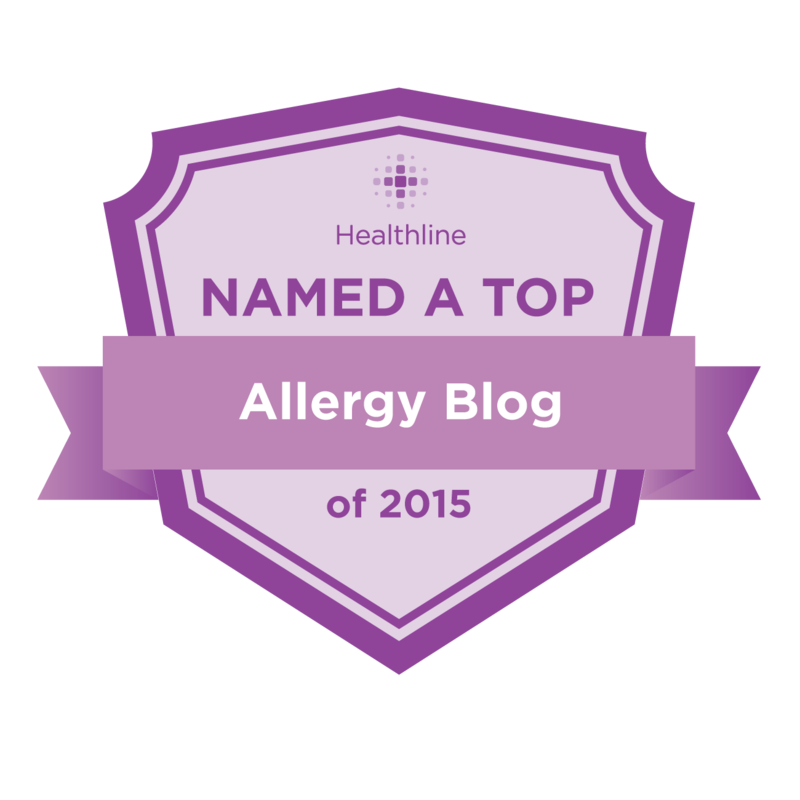 have you found anything out about the cross contamination? ginasharee@aol.com.. They sent me the "allergy sheets" that show the following items are "Contained in other products manufactured on the same line": wheat, soy, tree nuts, barley, oats and rice. I am waiting for the response on how they manage cleaning between runs and other information about their management of cross-contamination issues, though. 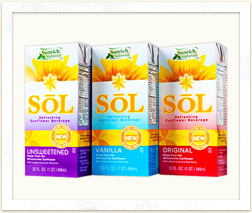 Selena, I recently reviewed the new SOL Sunflower beverage and my whole family loved it. 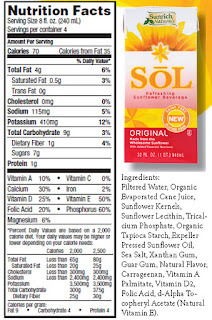 I have some notes in the review about cross contamination and their manufacturing process, which I received directly from the manufacturer, Sunrich Naturals. I'm currently hosting a giveaway for one case of the milk in the flavor of your choice. And there will be 3 winners!